A few weeks back, we reported that New York had finally released their long awaited Bitlicense, which included 40 pages of rules and regulations that companies wishing to work with Bitcoins in New York had to comply with, besides purchasing a license for a fee of $5,000. At the time there was a general positivity regarding the Bitlicense. 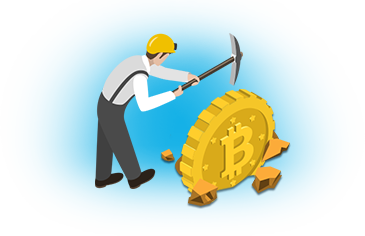 While many felt that it was far from ideal and that it might benefit the larger companies, it at least gave a clear way of operating legally with Bitcoins in the state. The positivity also boosted from the fact that the architect behind the Bitlicense, Benjamin Lawsky, Superintendent of the New York Department of Financial Services, is to step down at the end of this month and many hoping that his replacement would losen up the rules. While this may still happen, the Bitlicense has already driven out its first start-up from the state, as ShapeShift announced that they will no longer operate in the state due to the new Bitlicense. ShapeShift is a Bitcoin startup where users can exchange Bitcoins without registering an account, which is impossible to comply with in the rules of the Bitlicense. ShapeShift also felt that the Bitlicense would hold down their technological innovations and that it was better to just leave, rather than wait for a change. Following the leave, ShapeShift also excluded all residents from New York from trading inside the platform, to avoid any legal trouble. When users from New York tries to visit ShapeShifts website, they get redirected to a site set up to explain how the Blockchain and Bitcoin can prevent identity theft. “Bitcoin and blockchain technology have enabled a new standard of financial privacy and consumer protection… Unfortunately, in spite of the technological achievements that now protect consumers, some jurisdictions have legally mandated the continued extraction of sensitive private information.” A section of the states. “Since New York has mandated unethical and dangerous data collection of users, we have no choice but to suspend service to that territory. We hope other jurisdictions will be less reckless with the private information of their residents. Finally digital commerce can be safe—if only regulators would let it happen.” Erik Veorhees, Chief Executive Officer at ShapeShift said to the press on Wednesday. While this will not have any effect on the Bitcoin as a whole, it shows that the regulations that are being imposed around the globe needs to be better than they are today, to allow the technology to blossom and create something unique that we can use in the future. ShapeShift will still continue their operations outside of New York, as there are no other states in the US that has currently regulated the Bitcoin or any other cryptocurrency. Hopefully we will see the rules lighten up in New York, allowing smaller companies to continue operating in the state as well as seeing that the tracking of customers doesn’t need to be as extreme as it currently is.